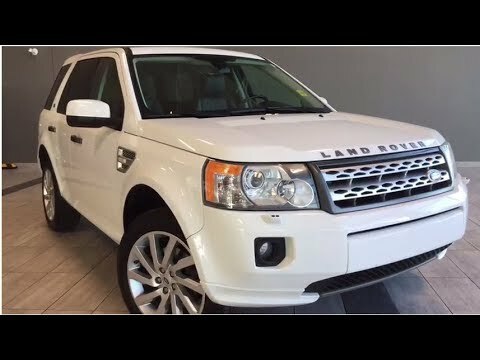 If you're seeking British style and coachwork in a vehicle that is neither bombastic nor a stranger to off-road adventuring, the 2011 Land Rover LR2 is a good fit. The different weather modes are awesome. The car is great, but since it is a little older (2011) it is slowing down a bit. A lot of the electrical stopped working, the navigation needs to be replaced, the AUX input does not work, and the windows do not go up automatically anymore, you actually have to hold the button down for them to go up. Other than all the wear and tear on the inside & outside of the vehicle, it runs pretty great, still feels like when I first got it. Good car when you first purchase it. The vehicle is extremely reliable and the performance is excellent, but just as most land rover's and range rover's are, the wear & tear is drastic and sooner than most cars. A lot of things start to stop working & need to be replaced, and it gets very expensive especially if you go to the dealership, but I do love my car, I wish it wasn't getting old and slowing down. It has very little mechanical issues. Love this car. Very well built and no mechanical problems. Get style and comfort - can not go wrong with any land rover product. LAND ROVER IS RECALLING CERTAIN MODEL YEAR 2010-2011 LR2 VEHICLES MANUFACTURED FROM NOVEMBER 12, 2009, THROUGH AUGUST 23, 2010. THE SHORTING BAR IN THE CLOCK SPRING MAY BECOME DISCONNECTED WHEN THE DRIVER'S AIR BAG MODULE CONNECTOR IS INSTALLED. THE DRIVER'S FRONTAL AIRBAG MAY NOT DEPLOY AS INTENDED OR AT ALL AND THEREFORE WILL NOT BE ABLE TO PROPERLY PROTECT THE DRIVER, INCREASING THE RISK OF INJURY. DEALERS WILL INSTALL A SPACER INTO THE DRIVER'S AIRBAG CLOCK SPRING HARNESS CONNECTOR. THIS SERVICE WILL BE PERFORMED FREE OF CHARGE. THE SAFETY RECALL IS EXPECTED TO BEGIN ON OR BEFORE DECEMBER 13, 2010. OWNERS MAY CONTACT LAND ROVER AT 800-637-6837. Jaguar Land Rover North America, LLC (Land Rover) is recalling certain model year 2010-2015 LR2 and 2012-2013 Range Rover Evoque vehicles. A component within the Occupant Classification System (OCS) Electronic Control Unit (ECU) may fail, resulting in the front seat passenger air bag being totally or partially disabled. In the event of a crash necessitating air bag deployment, if the air bag is disabled, the air bag may not deploy or may not deploy properly, increasing the risk of injury to the front seat passenger. Jaguar Land Rover will notify owners, and dealers will inspect and tighten the rear brake caliper retaining bolts, free of charge. The recall began on January 11, 2013. Owners may contact Jaguar Land Rover at 1-800-637-6837, Option 9.